This is a genuine factory Haws 6452 - Brass Waste Strainer and Wrench and is constructed of polished chrome-plated brass with three vandal-resistant pinned socket screws. This waste strainer includes wench to accommodate screws. 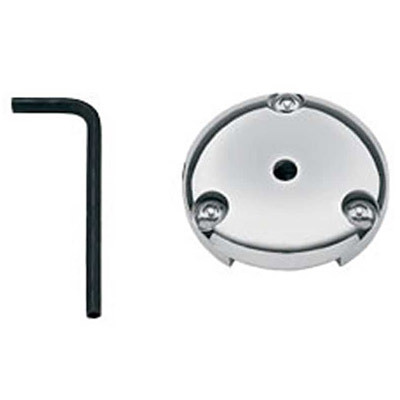 Dimensions: Flange diameter is 2-1/8 inches, wrench is 5/32" hex with hole to accommodate pin in socket screw.